"Two-day holiday craft show benefiting the Berkner High School PTA. 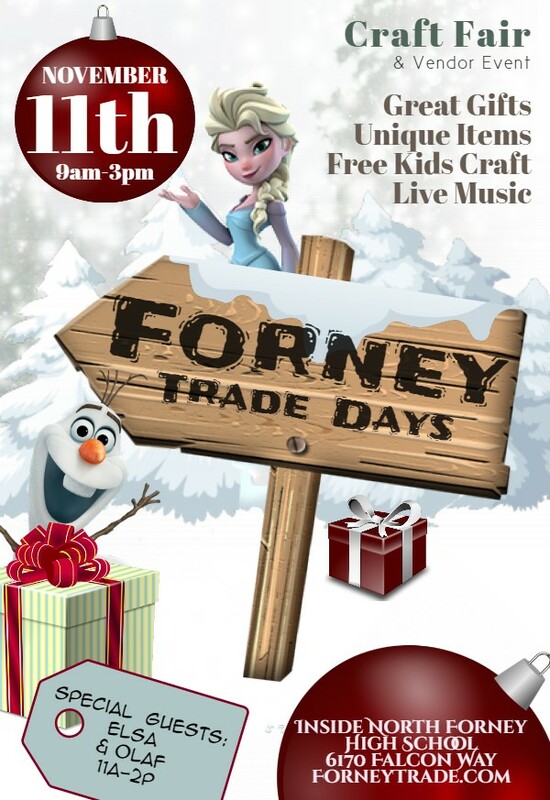 Over 80 vendors, for all things from jewelry, to toys, holiday decorations, and even a few food trucks!" "This event is a great opportunity to shop for Christmas, find that special gift for someone, or just enjoy shopping for you! The men of the church will have Mimosa Cafe open for lunch. Plus a delicious Bake Sale! 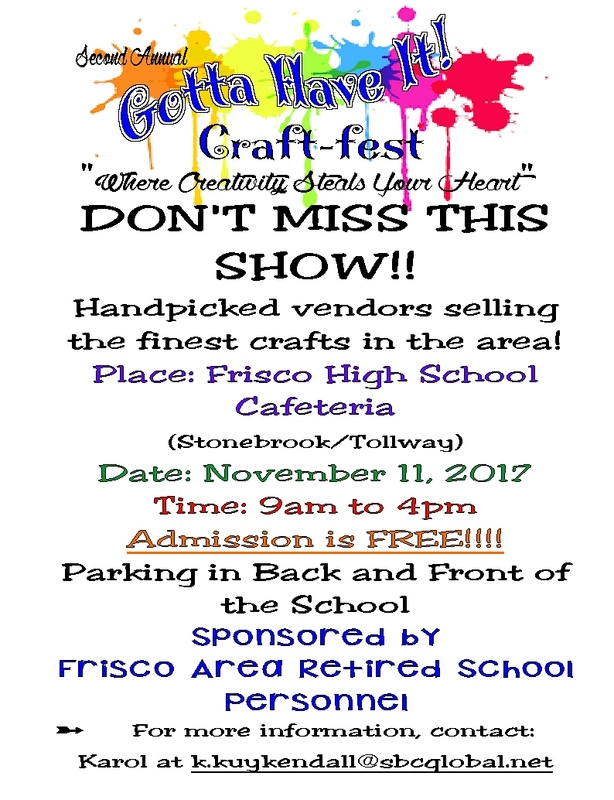 Our vendors will be selling jewelry, crochet items, quilts, home decor, homemade items, and much more. Last year over 80 vendors participated with an attendance of 500+ shoppers!" "The annual Dallas Nutcracker Market is a holiday tradition! 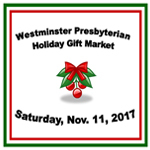 This shopping extravaganza will feature 100+ merchants, artists, and crafters selling a variety of hand-made crafts, jewelry, women and children's clothing, original artwork, gourmet goodies, home décor, holiday décor, unique gift items, and much more. Plus, First 50 shoppers will receive Holiday Gift Bags (Friday and Saturday), Photo Op with Santa (Friday, Noon - 1pm), Photo Op with Santa (Saturday, Noon - 1pm), Children 12 years & under are free." 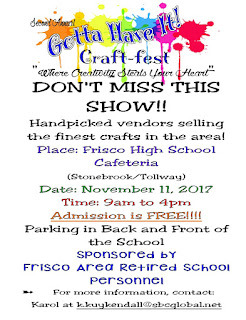 "Come shop at one of the largest and most unique shows in the metroplex, the 15th Annual Central High School Fall Gift And Craft Show, hosted by the Lightning Dancers. The show is Saturday, November 11th from 9:00- 5:00 and Sunday, November 12th from 11:00-5:00. With over 200 vendors, there is certainly something for everyone!! We will have Santa visiting for a fun photo op, as well as bounce houses, food trucks, a silent auction, live entertainment, and of course... fabulous gifts that exceed all expectations!" Admission Fee: No admission fee. Free parking. 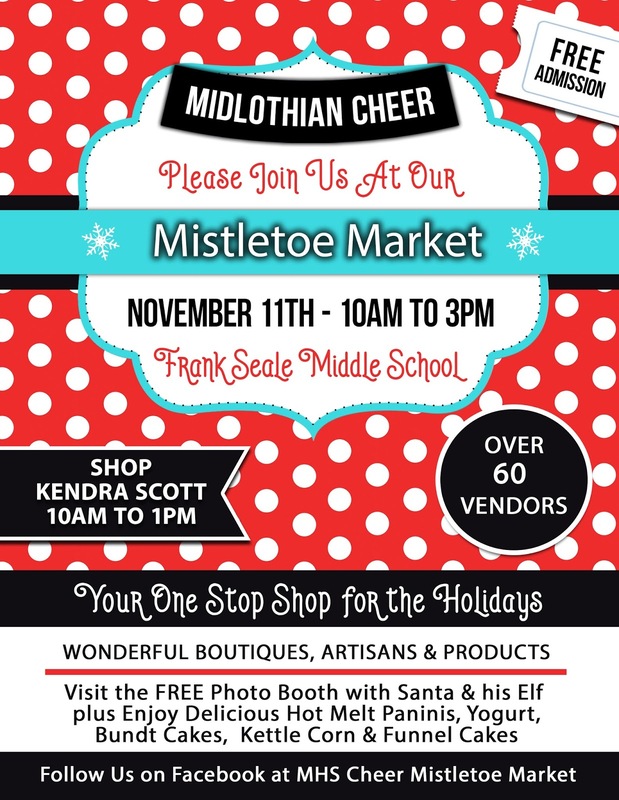 "The Midlothian Band Boosters will be hosting their 2nd Annual Christmas Craft Fair on Saturday, November 11, 2017. We will have a variety of vendors to help with all of your holiday shopping needs. We will also have raffles throughout the day, silent auction, bake sale, Santa pictures and more! Join us & support the Midlothian High School Band!" Vendors and Shoppers will enter through the cafeteria in the back of the school. Enter the parking lot from Walter Stephenson Rd.